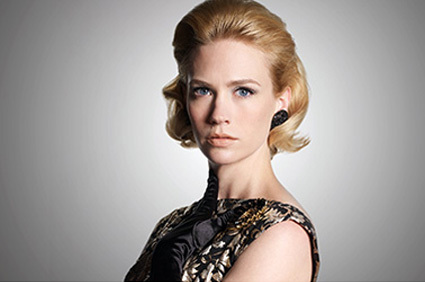 No less a medical authority than January Jones, star of the AMC series Mad Men, has announced that she ate her child’s placenta. Jones … told People that taking the capsules isn’t “witch-crafty” and she recommends it to all moms. Besides, she adds, humans are the only mammals who don’t do it. Eating the placenta is a relatively new wacky practice among natural childbirth and homebirth advocates. And as can be expected of most practices exclusive to NCB and homebirth, it displays the full spectrum of ignorance: ignorance of obstetrics, ignorance of history, and this case, ignorance of mammalian biology. Placentophagia is the scientific term for eating the placenta. Yup, eating the bloody, rubbery placenta. You can eat it raw, and some proponents insist that this provides the most “benefits.” But for those who are more fastidious, you can dry it and put it in capsules to eat later. Why would you do that? Because, like January Jones, you are gullible, of course. Placenta Benefits.info provides supplies and services to help you prepare your baby’s placenta. (Wacky childbirth practices almost always cost money and are a source of income for childbirth “professionals.”) What are these purported benefits that Placenta Benefits is extolling? Now that you’ve read the fantasy, let’s look at the reality. Is eating the placenta natural? Sure … if you are a rat, and maybe even if you are a lemur. But how about if you are higher order primate, or a human being? Eating the placenta is variable among higher order primates, and virtually never occurs among humans. … In association with the natural childbirh movement from the 1960’s placentophagia was taken up in some ‘Western’ societies, especially in California, on the basis that it was ‘natural’, as ‘all’ mammalian species eat the placenta. The problem with this is that not all mammals are regularly placentophagous and our closest primate relatives also are not placentophagous… [M]odern placentophagia is based on an inaccurate idea of making the human birthing process more ‘natural’. In other words, eating the human placenta is not natural and it is an affectation dreamed up by California hippies. Can eating the placenta replenish depleted iron and give you more energy? In the world of cooking, the placenta would be considered an “organ meat” and could theoretically improve iron levels. In fact, it may do so in species that are regularly placentophagous. Of course, eating any part of any human being could probably do the same. And though it is theoretically possible, there are no studies that have shown that it occurs. Can the placenta decrease postpartum bleeding? In other words, does the placenta contain utero-tonic substances like oxytocin? There’s no reason to believe it does and considerable reason to believe it does not. The purpose of the placenta is to interface with the mother’s circulation and thereby transfer oxygen and nutrients. Contractions of the uterus interfere with that function (when the uterus contracts, exchange cannot take place) and may cause the placenta to shear away from the wall of the uterus (an abruption). There is precisely ZERO reason to believe that eating the placenta will prevent postpartum bleeding. In fact, Placenta Benefits.info, which has a full page of bibliography salad masquerading as supporting research, can’t manage to find even a single paper on the purported utero-tonic effects of placenta. Can eating the placenta increase milk production? In other words, is the placenta a galactagogue? I could find only two papers on the subject. One was published in the BMJ … in 1917. The other, quoted by Placenta Benefits.info is Placenta as Lactagagon published in 1954 by Soykova-Pachnerova in the journal Gynaecologia. The study is poorly done and has never been replicated. The bottom line is that there is no evidence that eating the placenta increases milk production. Can eating the placenta prevent postpartum depression? Although there has not been one study (not even poorly done) about the effects in humans on placental ingestion, the claims are that it prevents the blues and PPD …which contributes the spread of misinformation about perinatal mood and anxiety disorders. There is no evidence that the freeze drying processing of placental tissues maintains the integrity of the hormones, protein, and iron. There is no evidence about any part of this process to warrant a recommendation. Indman’s comment about the integrity of placental components highlights another important issue. There is no evidence that the placenta contains hormones that are biologically active in increasing milk supply, decreasing postpartum bleeding or improving postpartum mood. But even if the placenta did contain such hormones, you’d still have to show that they survived biologically intact, did not get destroyed by the acid in the stomach, existed in a form that could be absorbed in the intestine, and are absorbed in a form that could be utilized by human cells. When it comes to placentophagia, natural childbirth and homebirth advocates are batting zero, as usual. Eating the placenta is NOT a natural process for humans. Indigenous peoples around the world did NOT eat the placenta. There is NO evidence that eating the placenta improves iron stores. There is NO evidence that eating the placenta prevents postpartum bleeding. There is NO evidence that eating the placenta improves milk supply. And there is NO evidence that eating the placenta prevents or treats postpartum depression. There is one thing that eating the placenta reliably does, though. It does highlight the fact that natural childbirth and homebirth advocates are gullible and woefully uneducated about human childbirth. I agree…..but I like Betty Draper.